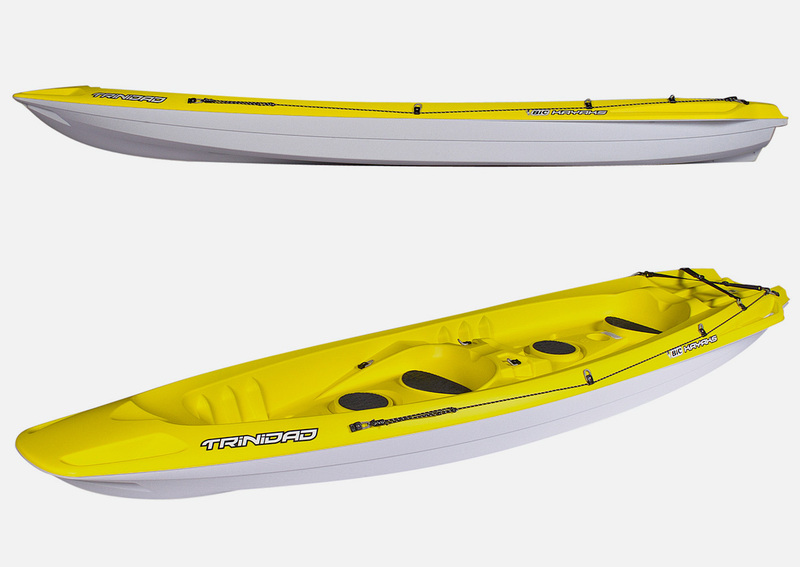 The Trinidad is designed as a versatile and manoeuvrabile kayak ideal for lake fun. 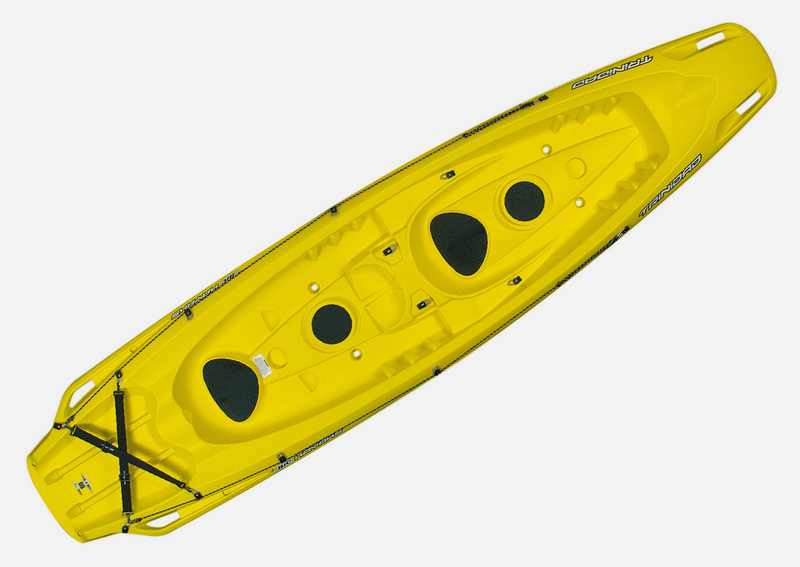 The stern handles let you hang on and swim and allow easy access on board. The Trinidad also handles surf and waves comfortably. 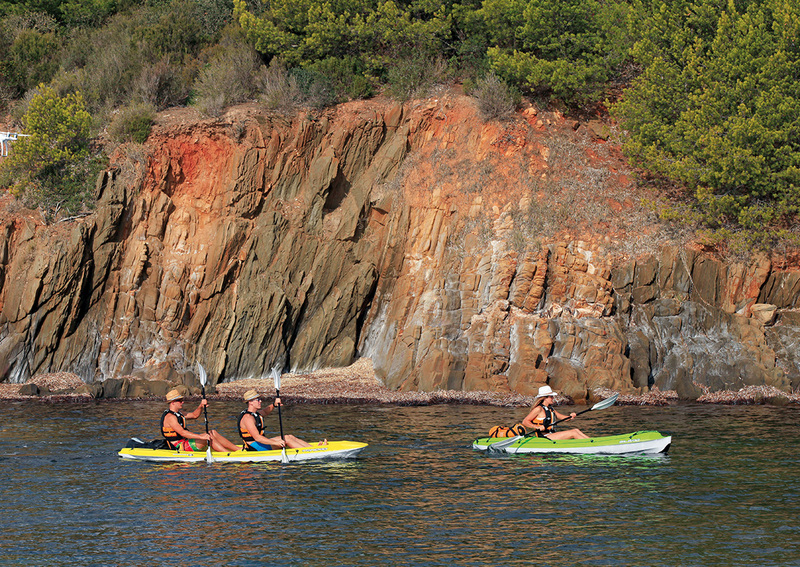 The ‘spatula’ shaped hull is derived from surf longboards and rodeo kayaks. The slight keel and lateral rail design provide directional stability and excellent tracking. The Trinidad has also three inserts on its hull which are to enable a set of soft Thruster fins to be fitted, which will improve its performance in waves. This set of fins will be available as a separate accessory. 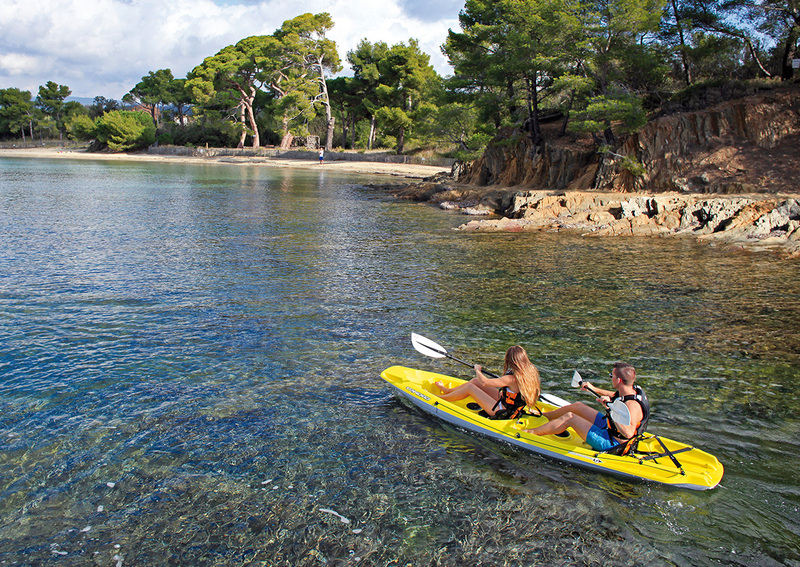 Its compact form and light weight make this a kayak that is easy to manoeuver.